The work group members introduced themselves. Dr. Bindman introduced himself and his report, A Path to Universal Coverage and Unified Health Care Financing in California. He explained that the California legislature directed the University of California San Francisco to create a report compiling facts, recommendations, and challenges around universal coverage and findings without soliciting stakeholder participation. Dr. Bindman explained the short-term and long-term opportunities to improve coverage identified in the report. Members asked about unified public financing versus single-payer financing, and whether integrated systems would be able to remain intact, and Dr. Bindman confirmed that based on his findings, they would. Members asked about the benefit schedule, and Dr. Bindman responded that his report did not dive into that detail. Members also discussed the all-payer claims database, proposals for collecting taxes, California’s commission to figure out details of universal coverage, other bills in California related to universal coverage, public and private competition, federal participation, definitions, administrative burdens and savings, stakeholder groups, and other issues. Dr. Bindman and Chair Salinas invited follow-up questions and feedback to be submitted electronically. Sunshine Moore of America’s Health Insurance Plans (AHIP) provided a high-level overview of Oregon-specific population statistics, available plans, options to make coverage more attractive and affordable, gaps in coverage, cost drivers, health literacy, the health care delivery system, and prior authorization. Ms Moore stated that AHIP has no official position of Oregon’s consideration of a Medicaid buy-in. She suggested questions for the group to consider as they discussed the option including possible benefits, target population, private employee eligibility, competition, funding, and costs. Members asked about cost-shifting, cost-sharing, employer-purchased health insurance, drug prices, marketplace competition, “churn,” and administrative costs. Ms. Moore and the members had a discussion around the trade-offs of Medicaid buy-in for various stakeholders. Staff with the Legislative Policy and Research Office (LPOR) explained that a Medicaid buy-in could have many permutations and design options based on the state’s policy goals. 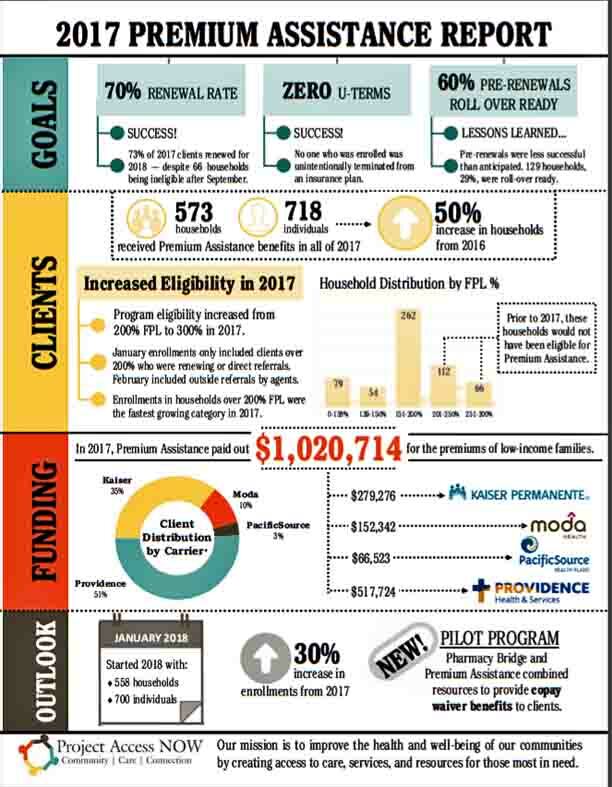 Zachary Goldman and Tim Sweeney with the Oregon Health Authority (OHA) discussed data points, goals, Medicaid versus commercial insurance, and actuarial values of each. Jesse O’Brien with the Department of Consumer and Business Services (DCBS) recommended exploring the possibilities provided by Medicaid buy-in, creating goals, then creating policy considerations structured around those goals. Mr. O’Brien discussed trade-offs between stakeholders. Members discussed a Basic Health Plan, the 1331 waiver, leveraging Oregon’s CCO model, streamlining coverage transitions, commercial market impact, provider impact, large employer push-back, costs or savings to the state, the target population for a buy-in measure, behavioral health benefits, out-of-pocket costs to patients, cueing, and other subjects. Members discussed the pros and cons of various permutations of a Medicaid buy-in system. No single system was the sole focus of the conversation; the buy-in as a marketplace option to compete with commercial carriers, the buy-in to provide for target population(s) with certain eligibility requirements, and the buy-in as a public option to minimize churn were all discussed. Members agreed that the concept warranted more research, discussion, and investigation.